When the South Africans were handed a 3-0 drubbing on their tour to India, there was a feeling among them of having been treated unfairly. The pitches in that series were heavily doctored to suit the home team and as, expected, the Indian spinners ran riot. 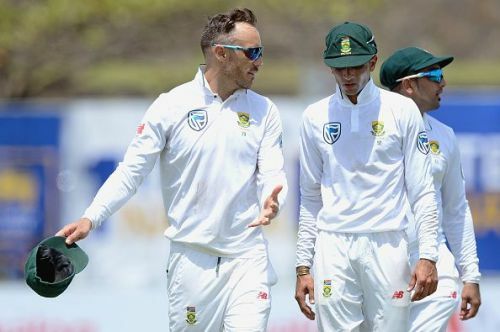 While the Proteas stayed away from direct criticism, there was clearly simmering discontent beneath the surface that translated into a desire to seek revenge during India’s tour to South Africa. The pitches were expectedly green during India’s tour and the South Africans handed the visitors a 2-1 defeat. Last year, the Proteas had a similar experience in Sri Lanka where, on dry pitches, they were thrashed 2-0 by the hosts. In the first Test, Karunaratne alone outscored the South Africans. This time, Faf du Plessis couldn’t resist expressing his displeasure with the tracks used for the Tests. So, once again, the African side seeks revenge from an Asian team and that too, one which seems to be on the rocks at the moment. It would be interesting to see how the home side goes about accomplishing this task. Will they prepare green-tops and unleash a four-pronged pace attack to dismantle the Sri Lankan batting line up? Or will they, looking at the weakness of their opponents, try to beat them in normal conditions with regular tactics? This is something that will be interesting to observe.